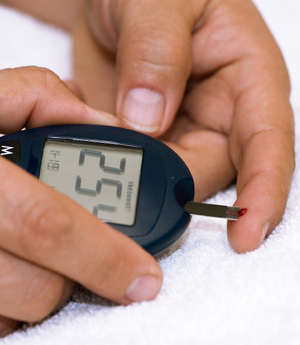 It is believed that once you acquired type 2 diabetes, you can no longer get rid of it. Medicinal drinks do not help and you can only control or maintain it by diet, exercise, and lowering your blood sugar. You can say that diabetes belongs to lifestyle-related diseases of today. Although the medical community is putting all their efforts to eradicate it, patients suffering from diabetes are still increasing. Probably, one of the reasons is mainly because people with type 2 diabetes have no symptoms at first. In fact, they may not experience any symptoms for several years even when they have high blood sugar! This is due to the fact that type 2 diabetes develops quite slowly! Our family's friends were also longtime patients of diabetes. One day, their doctor told them to change the medicine they were using. However, the medicine was not really meant for diabetes. The medicine is made for normalizing the blood sugar. The doctor mentioned that the medicine he suggested specifically targets the pancreas. The doctor continues by saying that the key to diabetes is the pancreas. The pancreas contains beta-cells "β-cells", a very important cell that makes and releases insulin, and controls the level of glucose (sugar) in the blood. Therefore, what you need in this stage is insulin. So the doctor declared to inject insulin to assist the lacking amount of insulin in the blood. The treatment with insulin injections is to compensate for shortfalls when the patient's pancreas secretes less insulin from the beta-cells. By simple insulin injections, thousands of patients were saved from type 2 diabetes in Japan. Consult your physicians for this possibility. Globally, 1 in 17 people are diabetic, and more than 1,800 cases of diabetes are being diagnosed every day. India has the highest number of diabetic patients in the world and is considered the diabetes capital of the world. Currently, there are about 40 million people with diabetes in India. By 2025, this number will balloon to almost 70 million. This would mean that every fifth diabetic in the world would be an Indian. Famous people who had/have diabetes include Thomas Edison, Mikhail Gorbachev, Mary Tyler Moore, Billie Jean King, Elvis Presley, and Ernest Hemingway. As early as 1500 BC, healers noticed that ants were attracted to urine of people with a mysterious disease. Insulin was discovered by Dr. Charles Best and Dr. Frederick Banting in 1921. In 1924, a 14-year-old boy Leonard Thompson was the very first person to have received insulin injection as a treatment for his diabetes. Eli Lilly was the first company to pioneer the development of insulin and made it available commercially during the 1920s. According to WHO (World Health Organization), there are about 246 million people worldwide living with diabetes. This is almost 6% of the global adult population. The prevalence of diabetes in Asians is five times more than the white population. Diabetes causes 6 deaths every minute. Worldwide, one in 20 deaths is attributed to diabetes.